The term jacquard fabric simply means a type of clothing that features intricate patterns woven into warp on a special mechanical loom rather than being printed on the surface.The fabric is highly textured with patterns that are woven as opposed tobeing printed.They have a raised pattern design which may include florals, damasks, paisleys or animal patterns. Jacquard is a fabric that is great for a lot of things. It can be used for a wide variety of projects which can yield great results. Jacquard fabric is great for many things that you might want to make. You can use this fabric in many projects, and get great results from it every time. Because this fabric is not colorfast, you will want to wash all of the dye out of it before you try to use it in a quilt or even sewn next to another fabric in something that may be washed. When you do not wash your fabrics before they go into your projects, you are running a risk of the fabric dyes running out into your other colors, and you will have a big mess. However, by simply running cold water over the fabric until all of the dye is gone, you can get rid of the excess dye that is lurking in your fabric, and not have to worry about this issue. Where does jacquard come from? Jacquard fabric was invented by a French weaver Joseph-Marie Jacquard who played a very significant role in inventing the technology. Loom is a machine that is used for weaving and was invented by Jacquard hence the name Jacquard loom.The invention of the technology paved way for automated procedure of weaving hence making fabric creation much more easy, accurate and faster. Every loom that has ever been created with this machine has carried the name of the inventor ever since. Today computer technology has been incorporated into the jacquard looms benefiting the weaving industry. Jacquard fabric can be used to make curtains. 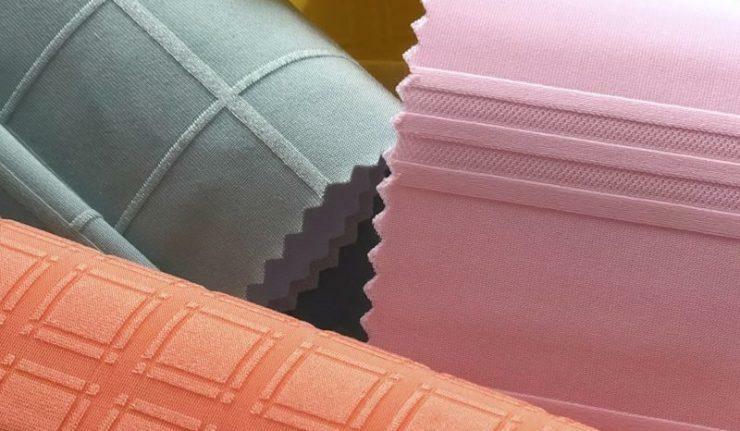 You will find the fabric available in different colors in the fabric stores meaning that regardless of the kind of decor that you have in your home you will find a color that will compliment. The advantage with this type of fabric is that you won’t feel the need to iron them once they are washed. They can also be used to make pillowcases, duvet covers and almost any kind of project you can think of.